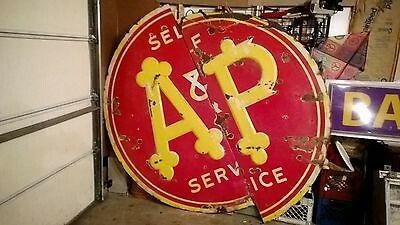 The A and P Self Storage sign comes in two half circles that combine to make the entire sign. The sign is red with yellow text. There is a thin yellow boarder running the entire outside of the circle. The sign is 7 feet in diameter and is flat.